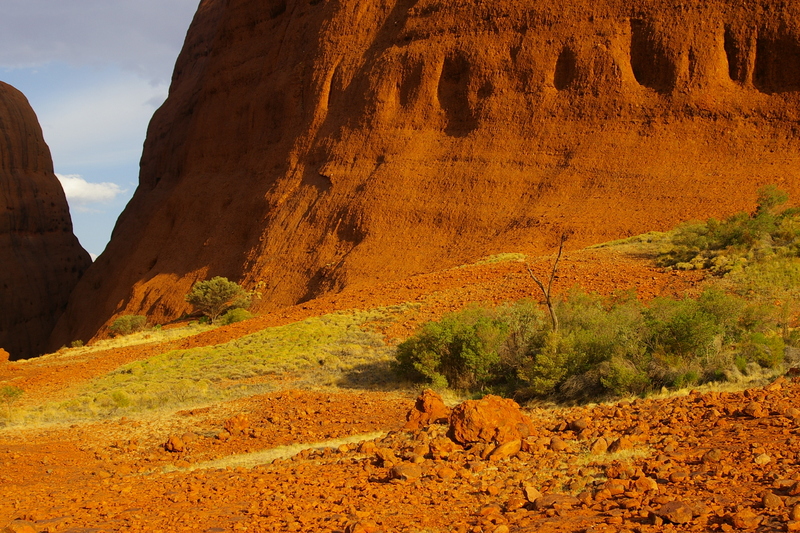 The iconic red rocks and soil in the Northern Territory of Australia are often referred to as the Red Centre. 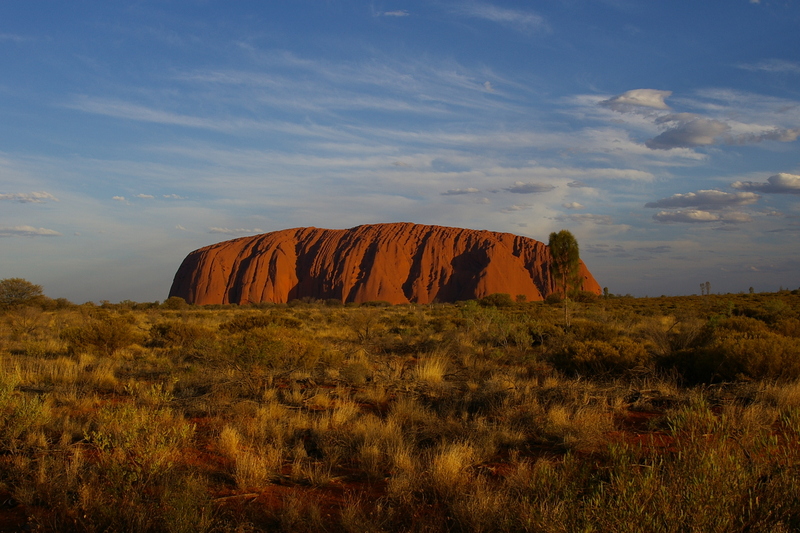 This is the home to the amazing geological formations of Uluru (Ayers Rock) and Kata Tjuta (The Olgas) located within the Australian National Park system and designated as a UNESCO World Heritage Site. 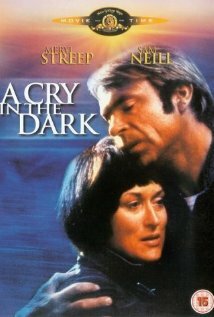 Did you by chance see A Cry in the Dark with Meryl Streep? Well, the dingo stole her baby from the campground at Uluru-Kata Tjuta National Park. By the way, that case was put to rest just a few months back when a coroner concluded that a dingo did in fact steal the baby finally allowing the Chamberlain family to put an end to their saga. This area of Australia is filled with rich Aboriginal history and ownership of the park was famously “handed back” to its’ indigenous inhabitants in October of 1985. 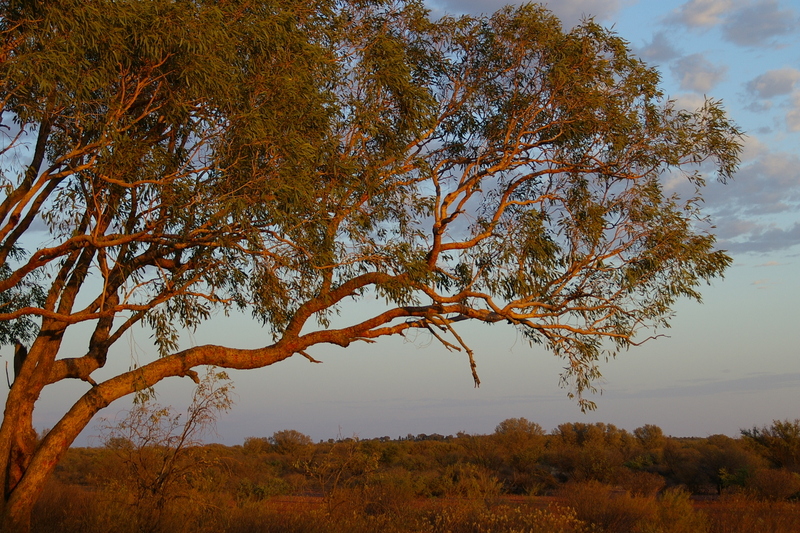 Today, the Australian government manages that park but pays a lease fee back to the Aboriginal owners who still live nearby. One thing you quickly learn about the Outback is that you must dress to fend off the bugs. I wasn’t keen on wearing a mosquito hat with netting around my head so my guide recommended Desert Dwellers Rosemary & Cedarwood ointment that you dab on your head, neck and temples which is made of herbs and spices and is quite pungent in smell and oily in texture. Works like a charm. On my first day I got up well before sunrise at 4:00 am to meet my guide for a walking tour around the perimeter of Uluru which is the more toured and “famous” of the two rock formations. 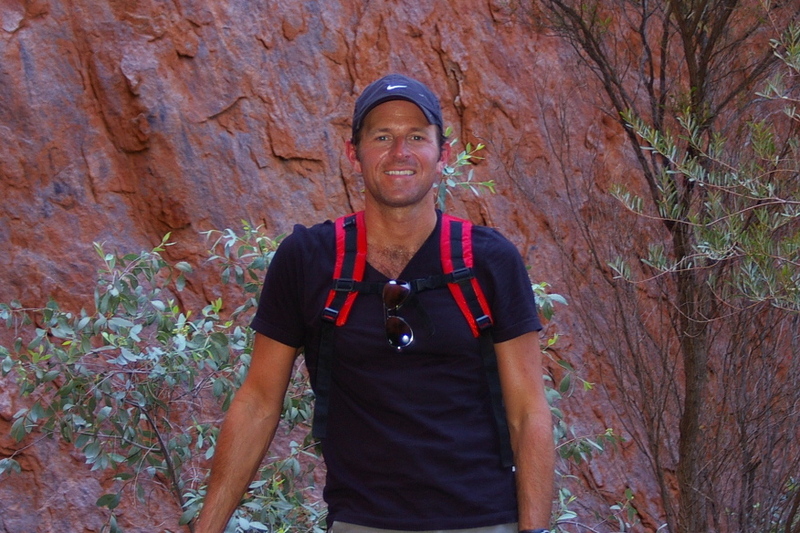 With my repellent applied and water in-hand I was ready for our 10K (6.2 mile) walk around the base of Uluru. 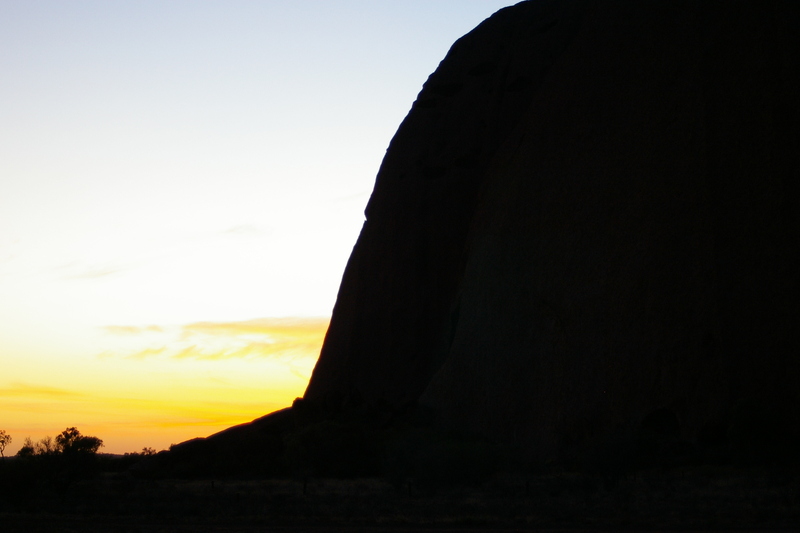 One of the controversies about touring Uluru is that many visitors want to hike (and do hike) to the top of the 348 meter high rock (95 stories). 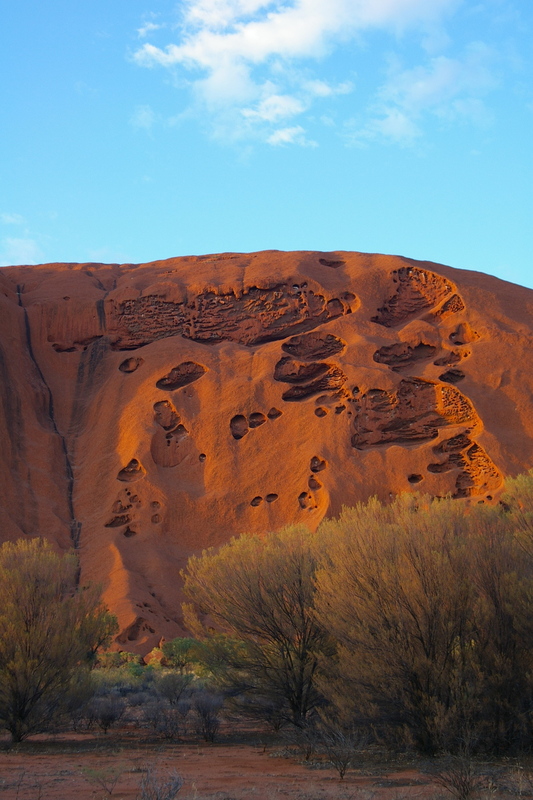 The Aboriginal owners have a posted sign asking that visitors not climb Uluru out of respect for the spiritual significance that the rock has to their culture. I did not hike the rock but did enjoy the sights and history as I walked with my guide. 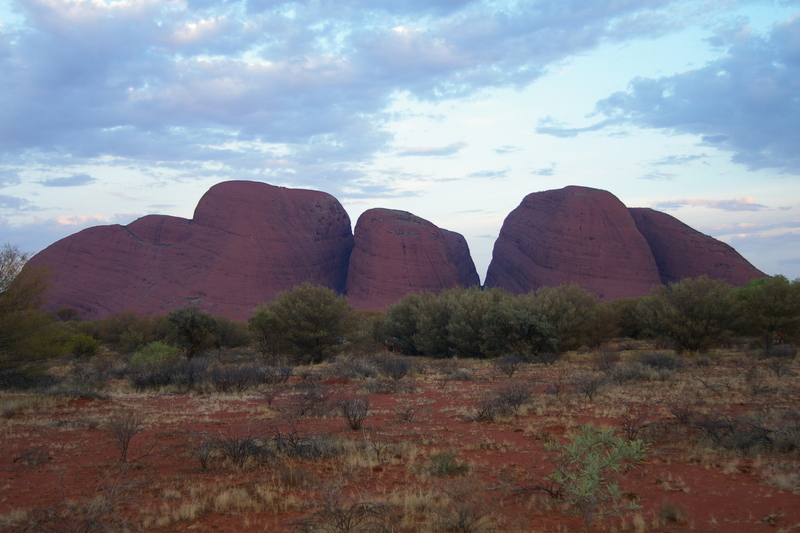 On day two I scheduled a group tour to visit Kata Tjuta or The Olgas. This tour was less about the hike and history and more about seeing the Outback and viewing yet another impressive rock formation. 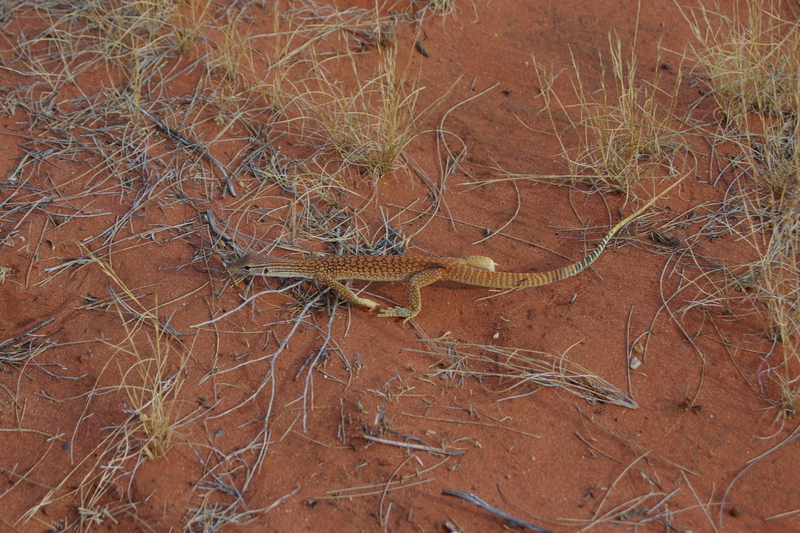 On our tour we spotted a beautiful Desert Skink lizard and once again I was taken by the massive formations and the contrasting and radiant colors. Beautiful day. 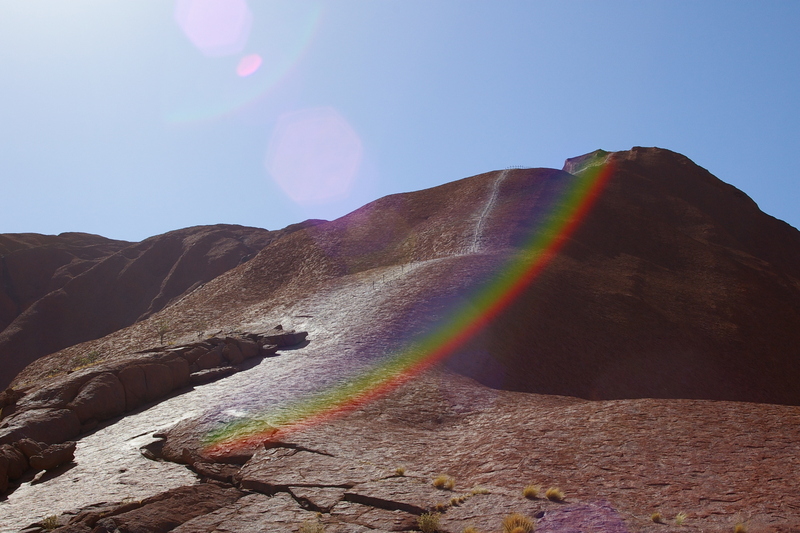 On my final day in Uluru-Kata Tjuta National Park I wanted to tour the desert and take in the views from atop a camel. 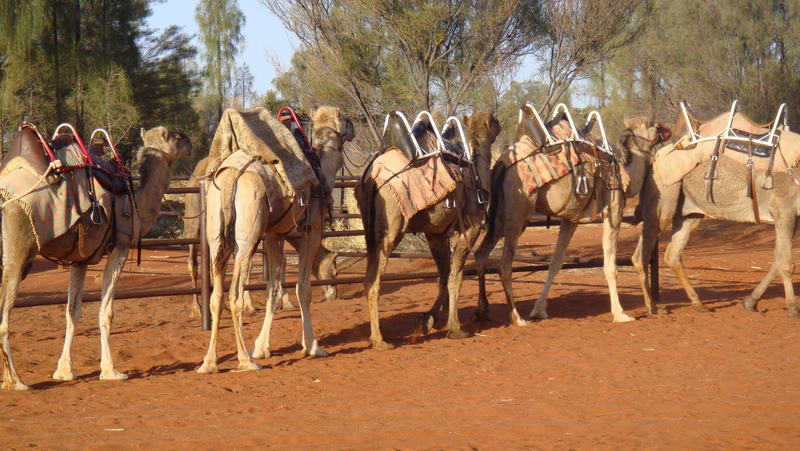 Camels were imported into the desert in the 19th Century and were used for work. 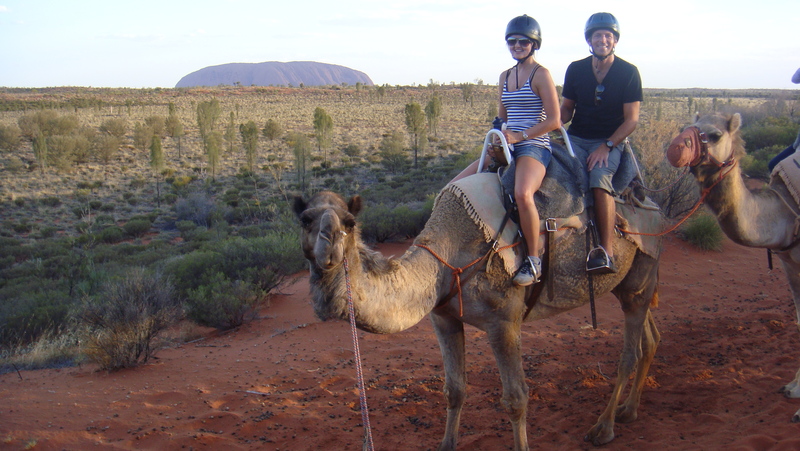 I booked through Uluru Camel Tours and really enjoyed the experience. I had never ridden a camel before and I guess I had no idea how feisty they were. The guide spent most of her time trying to get them to stop biting each other! 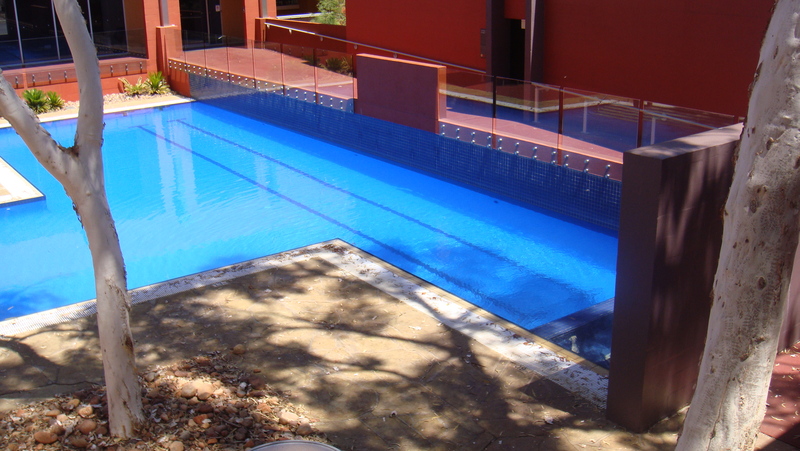 There are only a few hotel properties located within the Uluru-Kata Tjuta National Park and they range from the ultimate luxury property, Longitude 131 to camping at the Ayres Rock Campground. I chose a mid-range option called Sails in the Desert as I wanted to be mindful of costs but also wanted to have the comforts of air-conditioning and a pool as the temperature was soaring well above 100 degrees farenheit while I was visiting. Three days in this magical desert and I felt like I had experienced something like nothing else I had ever seen. The history, the open air, the colors and the massive scale really gives you a spiritual impact and allows you to appreciate your time here on this earth. A site not to miss if you travel Down Under.